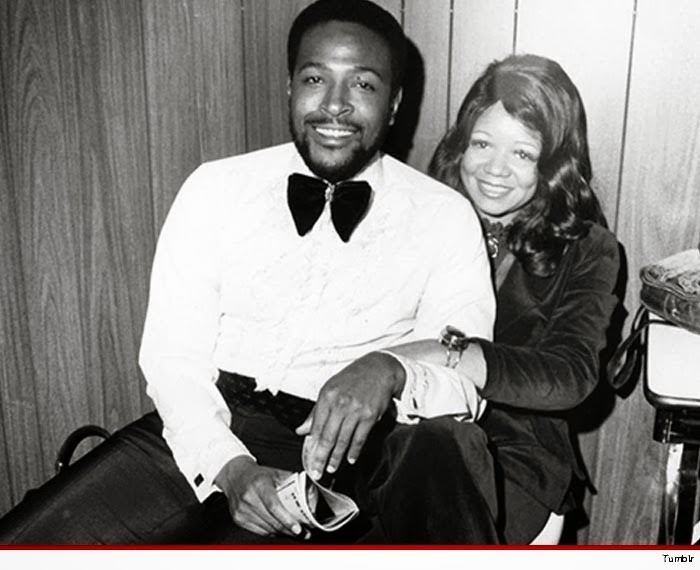 Anna Gordy Gaye (pictured above with Marvin Gaye) died early this morning in Los Angeles. Sources close to the family tell us Anna died at home from natural causes. Family members discovered she had died around 3AM. Anna and Marvin got married in 1964, and she was a huge influence on his career. She co-composed two hits on his classic "What's Going On" album. Marvin said his hit song "Pride and Joy" was inspired by his courtship of Anna back in the early 60s. They had one child together named Marvin Gaye III and eventually divorced in 1977. While they were estranged. Marvin wrote "Anna's Song." It was released in 1978.